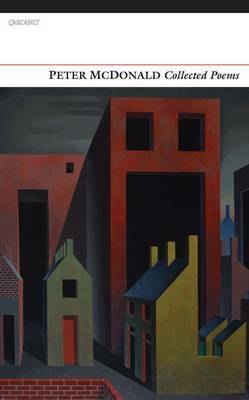 In the five volumes of poetry he has published since 1989, Peter McDonald explores an intimately known territory that becomes strange: pulled out of shape by history, made unfamiliar by distance, made new by the attentive imagination. McDonald's "Collected Poems" is a sustained meditation on place and belonging, loss and love. The classical world is a haunting presence; the landscape of McDonald's poems resonates with past voices, with memories and acts of remembrance. The assured and scrupulous craft that creates the telling detail, the unsettling depth, has made him one of the most important Northern Irish writers of his generation.